It's "berry" beautiful! 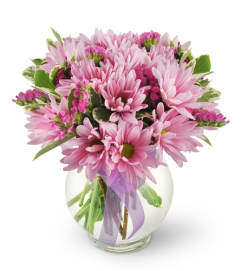 Rosey pink and purple hues are a scrumptious combination, perfect to send for any special occasion. 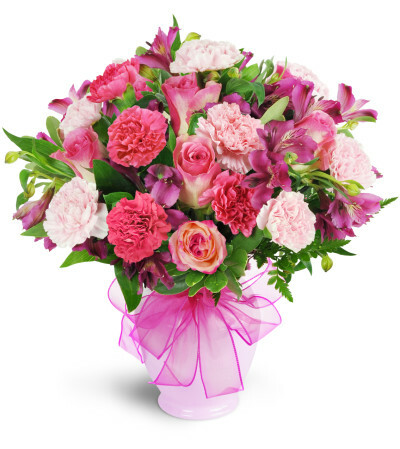 A colorful bounty of pink roses, pale pink and fuchsia carnations, and deep mauve alstroemeria is sure to be a hit. 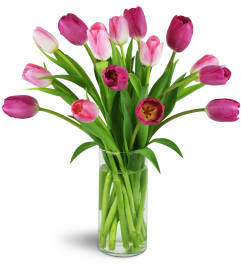 A pastel pink vase and a bright pink ribbon complete the look! The flowers were absolutely beautiful. Thank you very much. Excellent service, super easy to use online interface, will absolutly use this again and recommend to others!